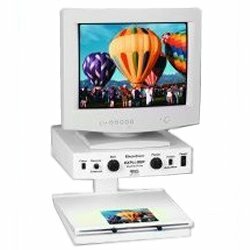 This model offers tilt and swivel screen positioning and gives you the clarity of a 19inch SVGA computer monitor. Read printouts, documents, and letters! Write checks, memos, & correspondence! View charts, graphs, photos, or maps! 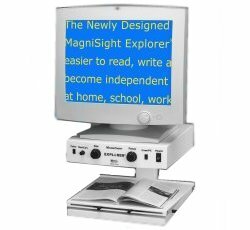 This model offers tilt and swivel screen positioning and gives you the clarity of a 17inch SVGA computer monitor.